Physicians Ask USDA to Use Cheese to Fill Potholes in Washington, D.C. 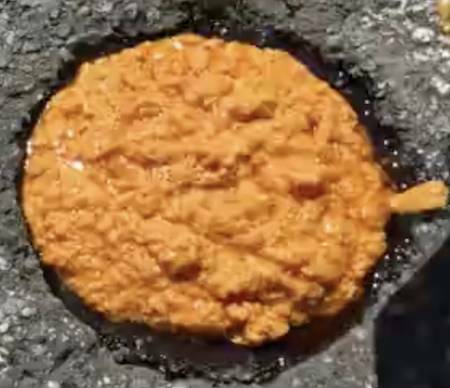 Cheese may make a surprisingly good pothole patch. As the Federal Highway Administration notes in its best practices for pothole repair, good binders are needed to fill the holes. Because cheese is mostly fat, it repels water, and, mixed with gravel, may make an excellent repair material. The Physicians Committee for Responsible Medicine today asked the White House to block the USDA from sending 11 million pounds of cheese to schools and food assistance programs and asked that the cheese be used instead to fill potholes in Washington, D.C. The USDA announced on August 23 that it will buy up 11 million pounds of unwanted cheese at a cost of $20 million, in order to prop up sagging dairy industry revenues. United States dairies have produced far more cheese than consumers are willing to buy, leading to a glut of more than 1 billion pounds of cheese currently in storage. The USDA plans to send the unwanted cheese to schools, food banks, and other food assistance programs. However, with childhood obesity remaining a major problem and with economically disadvantaged people suffering disproportionately from obesity and diabetes, the physicians group has asked President Obama to stop the USDA from piling more cheese on an already burdened population. Typical cheeses are 70 percent fat and are among the foods highest in cholesterol and sodium. Potholes occur when water freezes in cracks in asphalt. In April, Washington’s Department of Transportation launched an aggressive pothole-filling program, called Potholepalooza. The first Potholepalozza was held in 2009, and since then, more than 64,000 potholes have been filled. Dr. Barnard acknowledged that further testing will be needed to see how well cheese works as a pothole-filler. In the meantime, he asked that the cheese remain in storage.